I was going through the drawer in the bathroom the other day and found a bag of combs that's been taking up room in there for a couple of years now. I'm pretty sure I'll never use them up because I can't get that type of fine toothed comb through my hair. 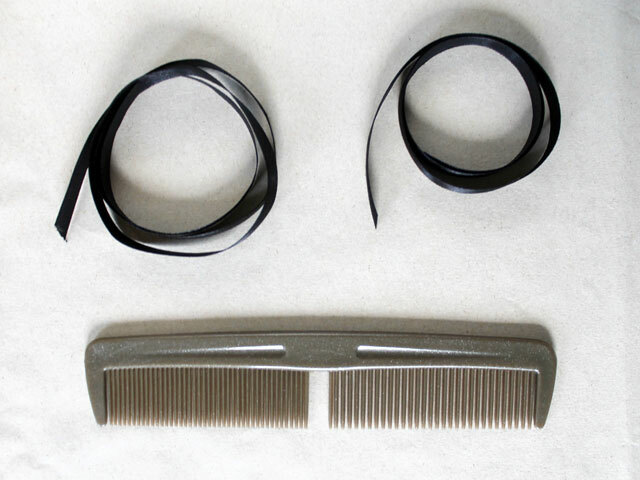 The reason I got them in the first place was because I needed ONE small comb, to help keep my bangs in order, when I got them cut. After checking a few different shops, I could only find them in packages containing many combs of different sizes and colours. 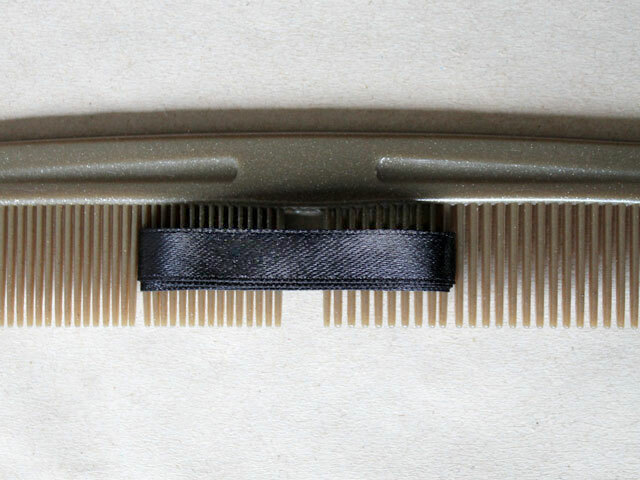 Now, combs aren't really something you can give away, right? So, I'm left with seven of them taking up space in my drawer. Well, actually, now I am left with six of them, since I've found an alternate use for one, making these gift bows. 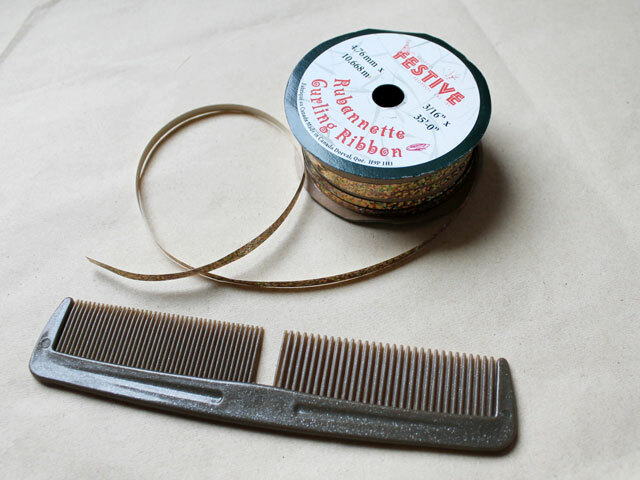 Do you have an extra comb lying around, and have a gift to wrap? Well then, today is your lucky day! 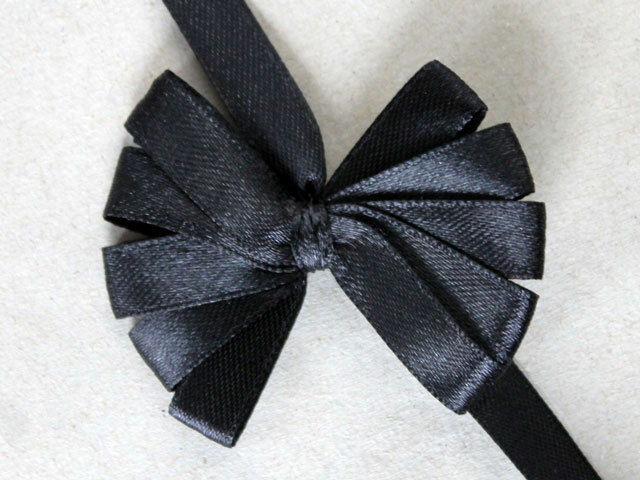 This works with fabric ribbon or with inexpensive curling ribbon. Using thinner ribbon turns out better than wide. 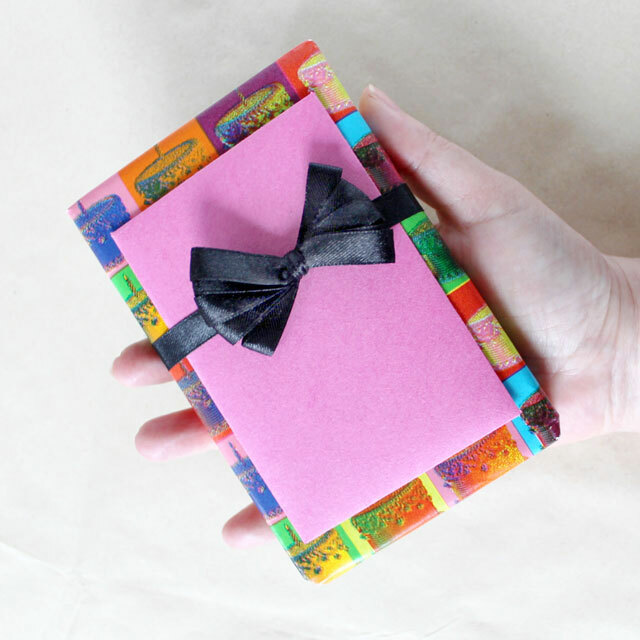 I made mine on the small side, for wrapping smaller gifts, but you can make them as wide and as full as you'd like, using more ribbon and wrapping it as wide as you want. 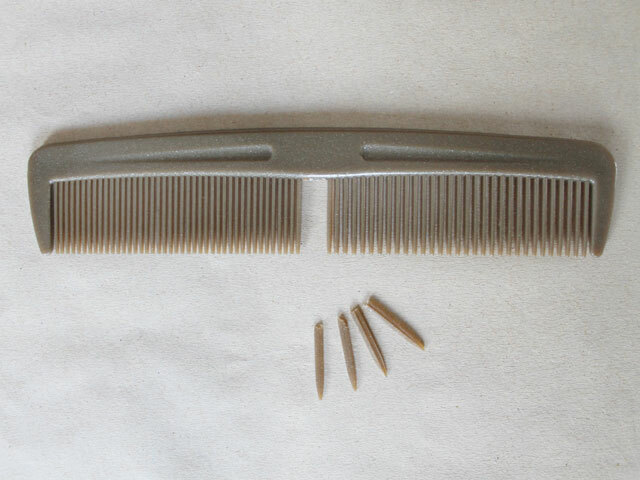 Choose a long comb and break 4 tines off, side by side, to make a gap in the middle. Mine just snapped off, but you might need to use scissors pliers to do that. 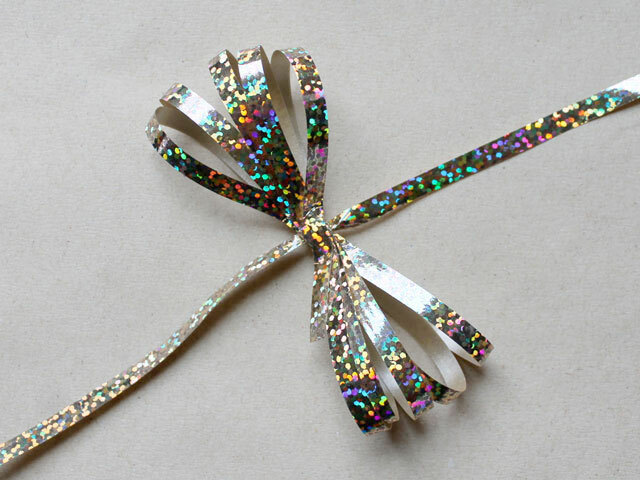 Take some thin ribbon - I used about 26 inches to make small bows that are about 2 inches wide. 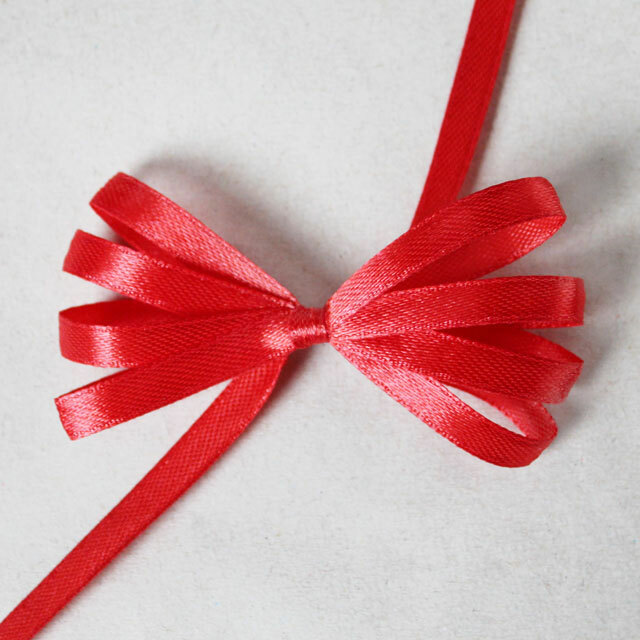 Take a second piece of ribbon that is long enough to go around the gift you're wrapping, plus and extra 2 inches. 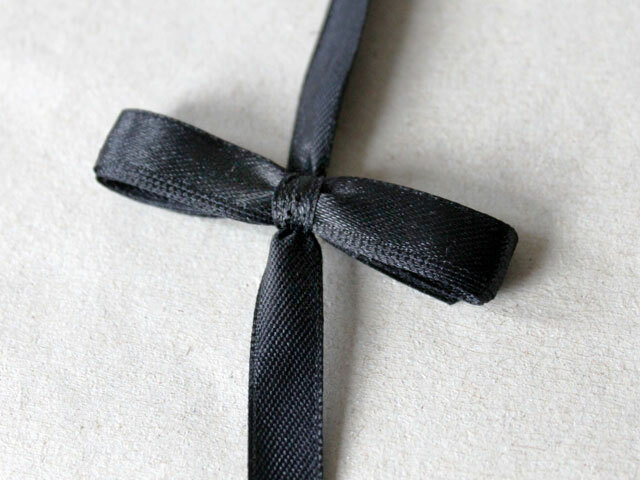 Or, if you just want to tie the bow onto something, the second piece should only be about 5 inches long. 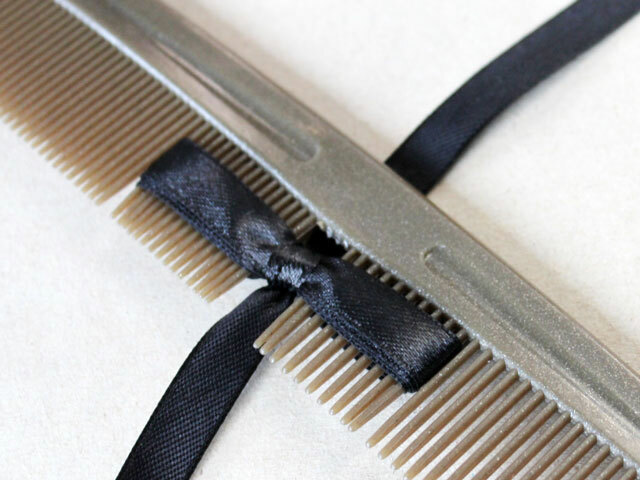 Wrap the first ribbon around the tines of the comb, keeping the gap centred, as shown in the photograph. Make sure the end of the ribbon is past the gap, so it will be included when tied with the second ribbon (as described bwlow). 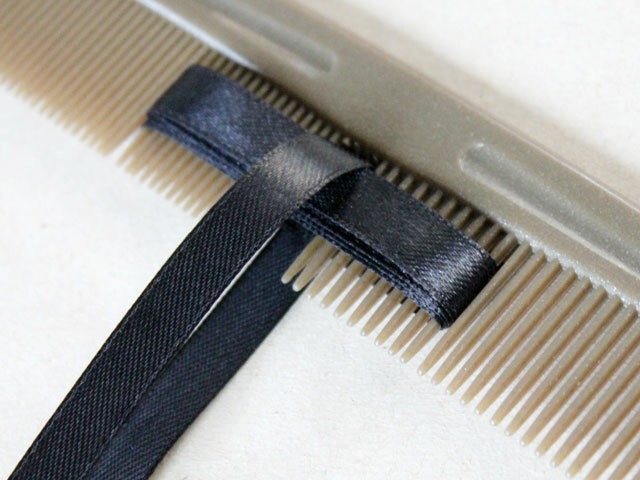 Take the second piece of ribbon and pass it through the gap, above the ribbon loops. Pull through until the loops are in the middle and tie the second ribbon in a tight knot. 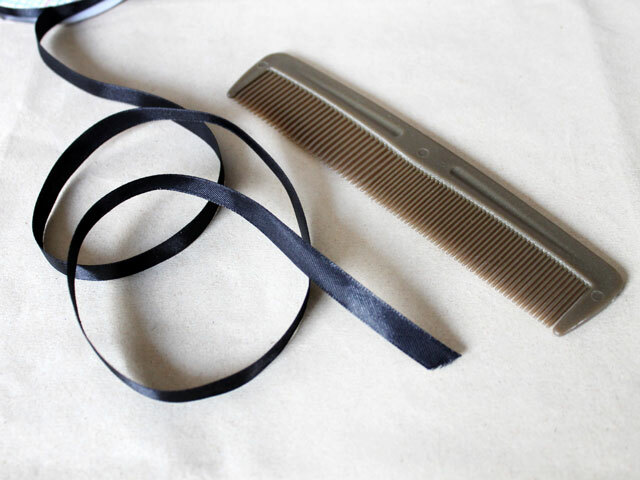 Pull the loops off the comb, and fan out the 'petals' of ribbon. 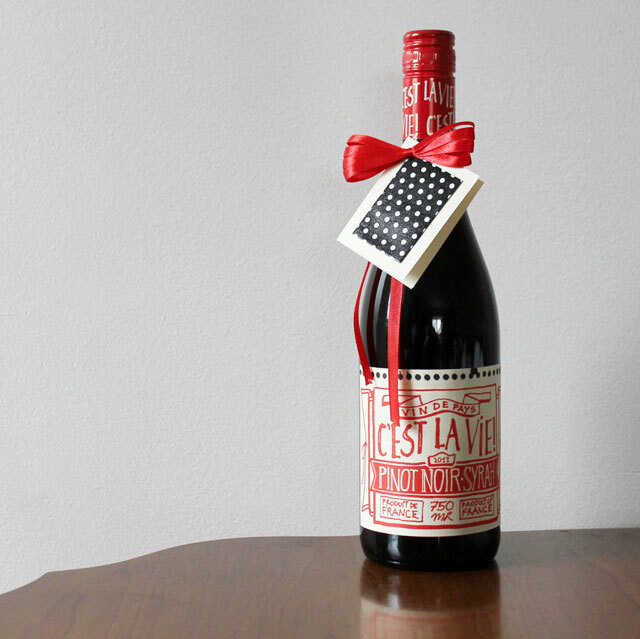 Attach to the gift by taping the ends together on the underside of the package. Once you get the hang of it, you can make one in under a minute. 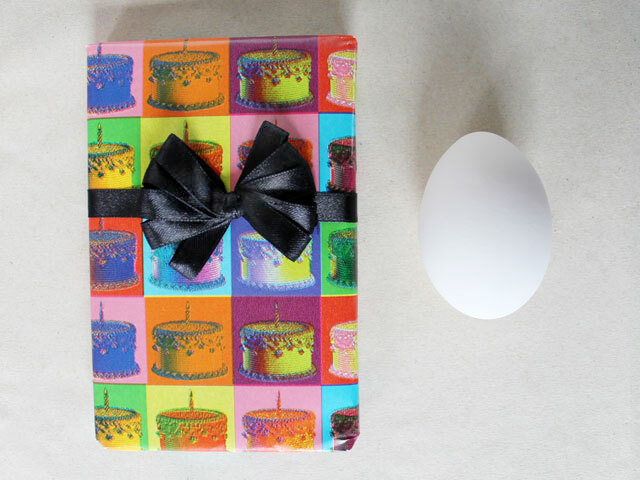 To give you an idea of the size of the bow, here it is beside an egg. This post is part of a series. Later this week I'll be back to show you a greeting card making technique, and then with another post showing the fun little ladies'-night-out I enjoyed last week, when I gave the gift to a friend. I hope you had a good weekend, and will have a great week. 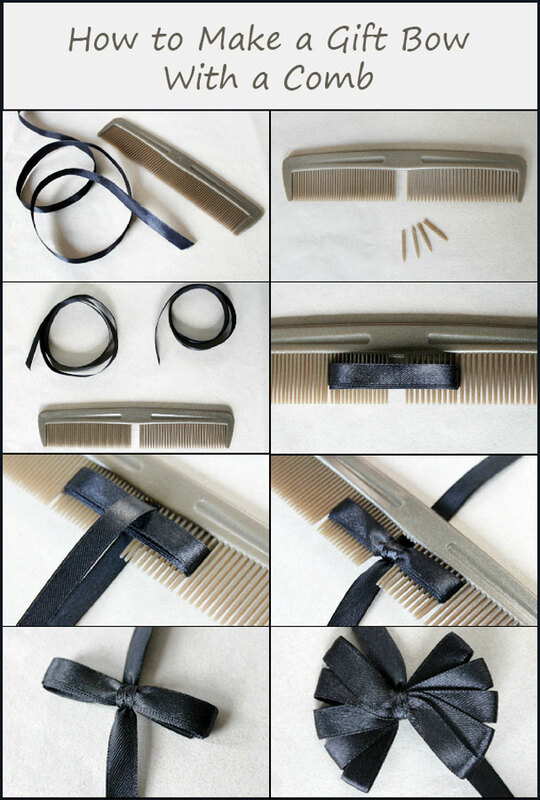 Further Follow-up : Your "crafting comb" is not only useful for making gift bows! 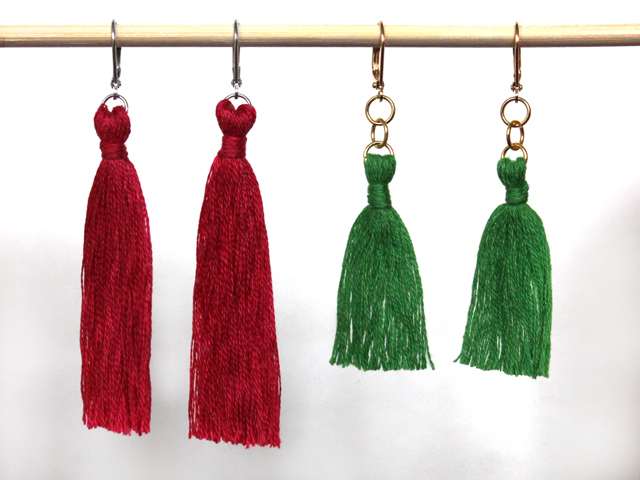 See how to use it to make tassel earrings too, over at this post! 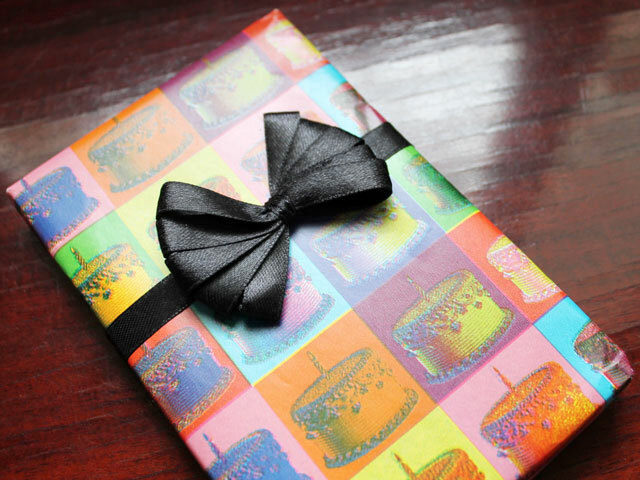 Actually, you share the bow ideas is very useful and very easy to make for gift wrapping. 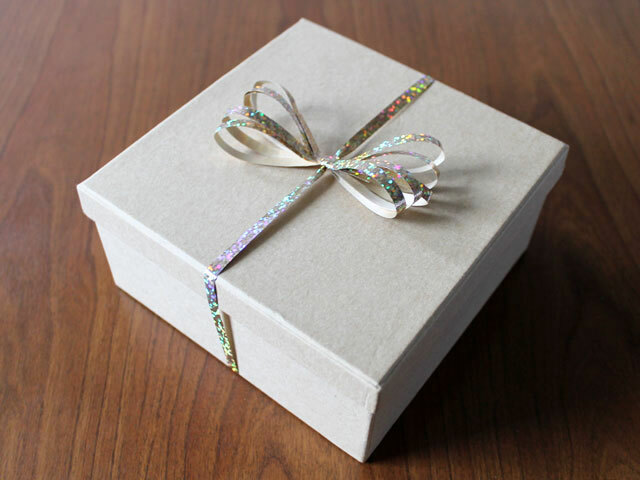 Use ribbon is very beneficial for gift wrapping. I like your tutorial you share on this blog. Very helpful blog. Thanks for sharing this so interesting post! I really want to be thankful for the way you have put it here.